I haven't done an eye makeup look in yonks and felt inspired last night. Maybe it was Barack Obama telling us "Is feidir linn" that got me motivated! Anyway, I received some New York Colour products a couple of weeks ago to try and immediately fell in love with the Mineral Eye Colour Wheel in Purple Rain (€2.99). I wore it to work the day after receiving them and got a few compliments which is always nice :) I found that applied on bare lids, the shadows were not very pigmented, but, thanks to Youtube and makeup tutorials, I turned to the NYC's Automatic Eye Pencil in Vampy Violet (€2.99) to help remedy this. I also used my Maybelline Eye Studio Lasting Drama Gel Liner in black because I think that a purple look needs liner and lots of lashes to pull it all together. I used the High Definition mascara (€2.99) from NYC to complete the look. These are the NYC products in question, my review of the Maybelline liner can be found on the link above. I've been playing around with different ways of doing tutorials that make it easy to see how I've done it, so let me know what you think of this new method. 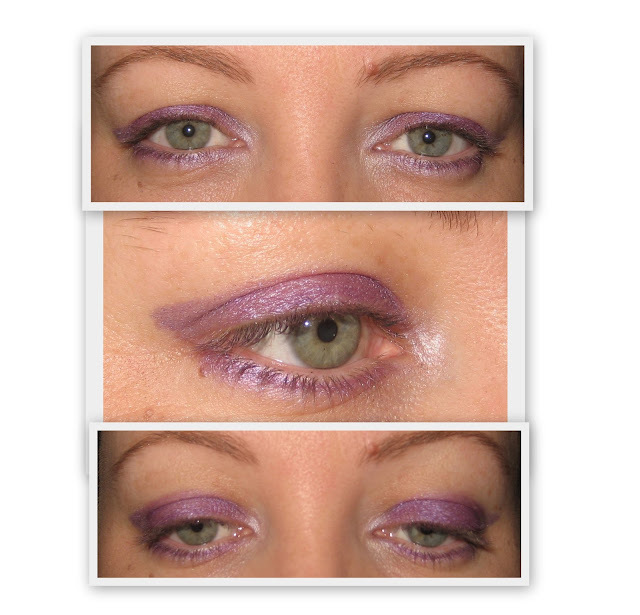 Step 1: Using the Automatic Eye Pencil in Vampy Violet, I traced the outline of shape that I wanted over my eyelid and lined under my lower lashes. I then coloured in my eyelid like I was a child of 5 again. 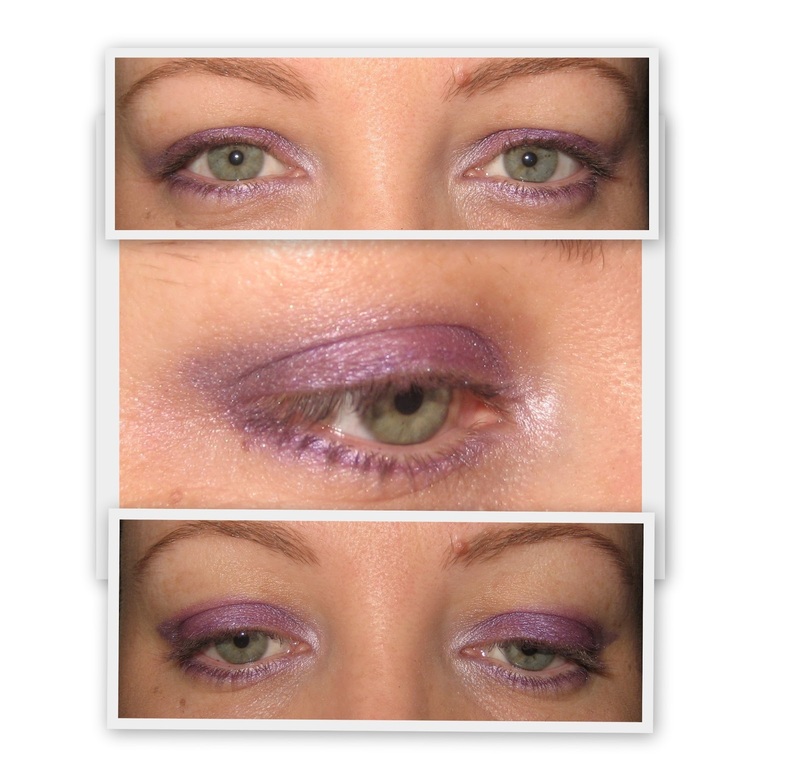 Step 2: I used Shade 2 of the Purple Rain mosaic wheel and applied it to my eyelid, packing the colour on. 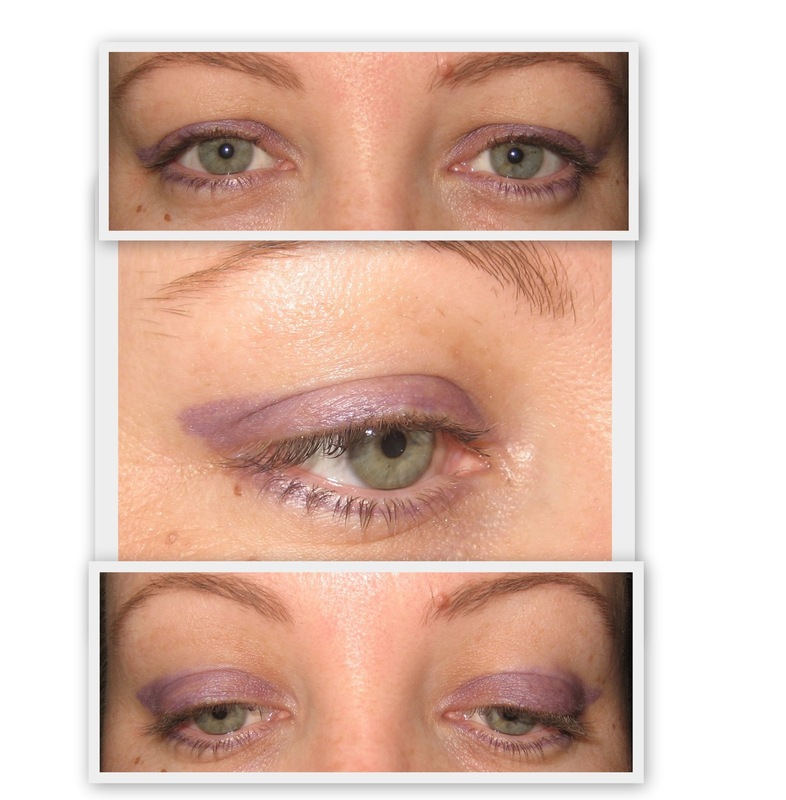 I applied it along the lower lash line on top of the purple liner. I applied the lightest shade, Shade 1 to the inner corner. Step 4: Armed with my Maybelline gel liner, I applied it to my waterline and tightlined (applied it to my upper waterline) and hoped I wouldn't poke myself in the eyeball. Step 5 : To tie it all together, I applied my Maybelline gel liner to the upper lash line, and applied one coat of the High Definition mascara to both top and bottom lashes. So let me know what you think of the new layout of tutorials, is it too basic, are the photos too big/messy etc? I love the idea of the mosaic wheels, it's a great little thing to keep in your makeup bag, but as I said, they work better over a base, so either use a pencil like I did here, or try something like a paintpot from Mac. Basically, something that is sticky and will give the shadow something to stick to. I looove this it's SO pretty! Beautiful! It really suits your eye colour :) I like this layout. Describing makeup application can be hard to do in posts so this is a good way to go about it!